Welcome to our new blog! Upper Elementary peeps have gathered together to share each of our unique ideas to bring you amazing ideas to use in your classroom! This will be the first of many posts so make sure to follow us! 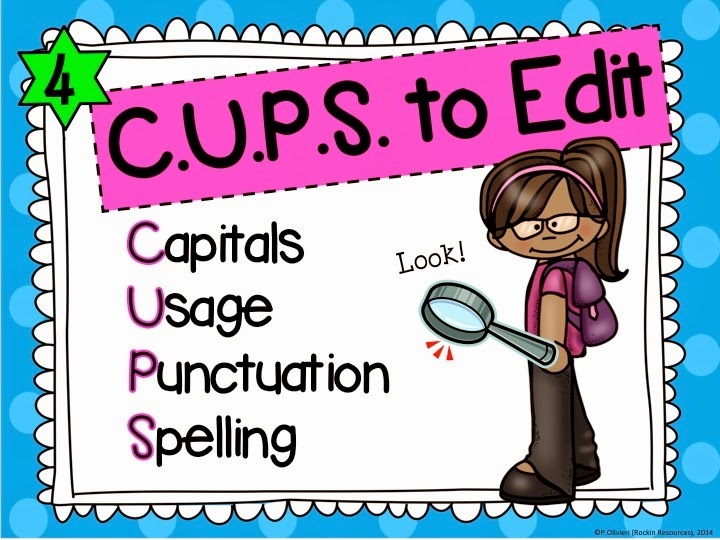 With Common Core Standards so prevalent in most states, the writing process becomes a focus in the upper elementary classrooms. The standards state, "With guidance and support from our peers and adults, we can develop and strengthen writing as needed by planning, revising, and editing." One of our SNAPSHOT experts has found a way to perfect this standard so read on! First, prepare your classroom for the writing process by placing posters vertically in your classroom. Then, write each student's name on a clothespin. 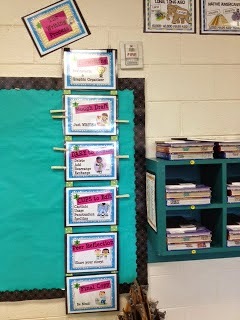 Students will move their clothespin as they progress to each step of the process. This will allow you to quickly glance to see who may need help. 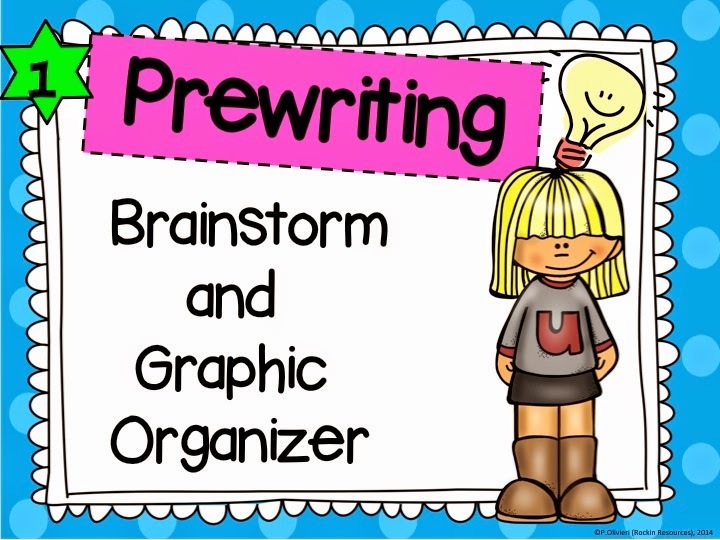 Pam from Rockin Resources has graciously offered free Writing Process posters in her store. There are two versions. 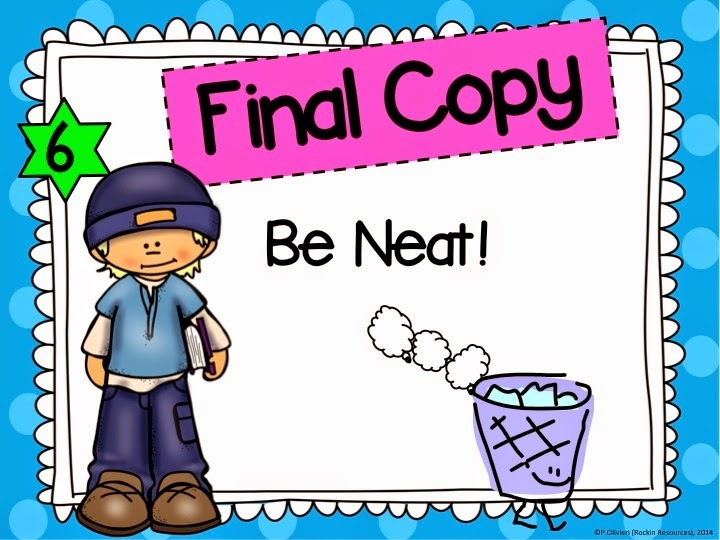 One has young students featured as the graphics and below you will see the tween version which works well for the older students. Click Here for the free posters! What do the students do with each of the steps? Brainstorm a list of ideas for the topic using background knowledge and interest. Choose one of the ideas, then complete a Graphic Organizer. a. Introduction In Narrative Writing, it is the beginning of the story where you introduce the narrator and/or characters, setting and the plot. In other types of writing, restate the prompt without detailed examples or experiences. b. Body In Narrative Writing, it is the middle of the story where characters are developed and events show sequence with heightened suspense and climax. In other types of writing, choose 3 examples, reasons or subtopics related to the prompt; then provide details or personal experiences for each one. c. Conclusion In Narrative Writing, it is the end of the story or solution to the problem. In other types, wrap up the essay and be creative so the reader wants to read more! Remind the reader of the central idea! 2. 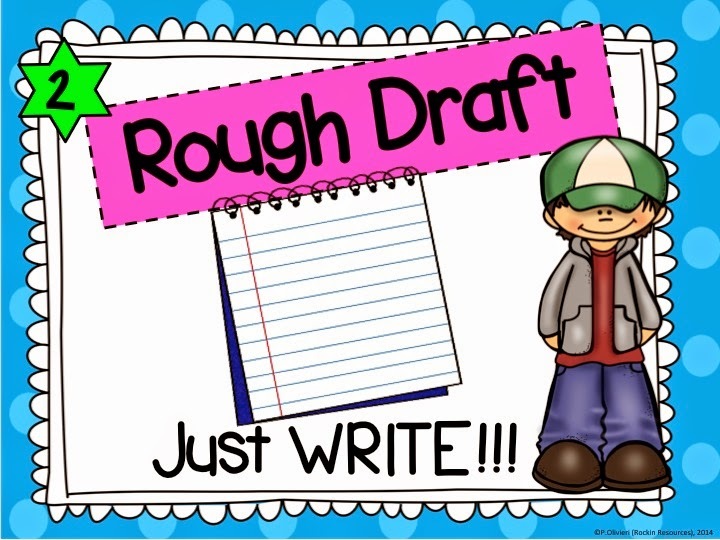 Rough Draft- Just write. Don't worry about misspelled words! Indent each paragraph and skip lines so you can make changes later. 3. 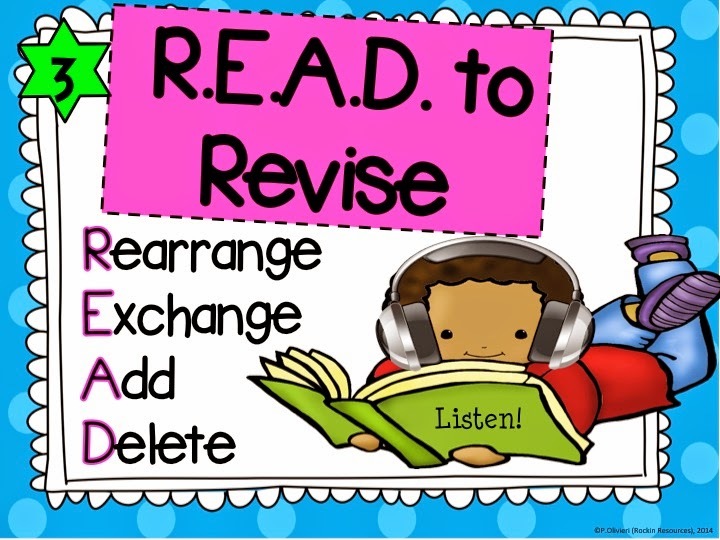 READ to Revise Read your writing out loud to “listen” for story fluency. 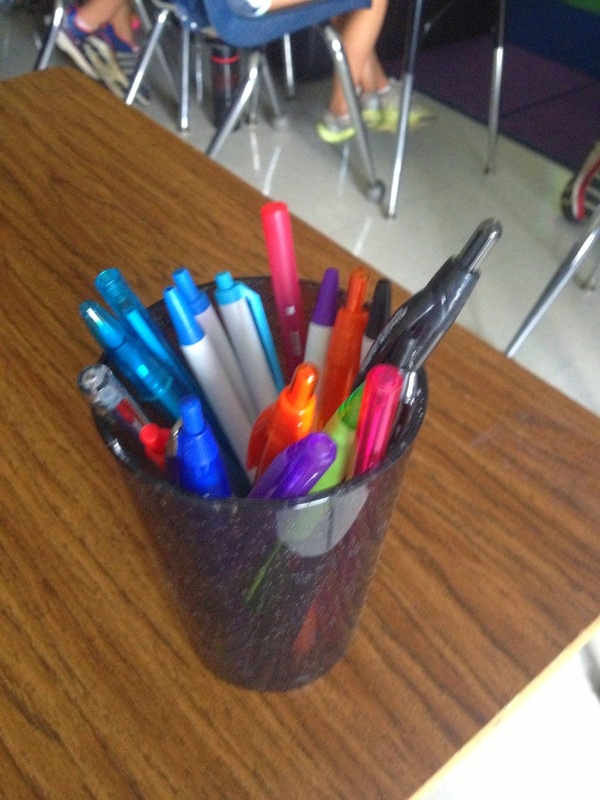 Use a color pen and thesaurus to make changes. 4. CUPS to Edit. ”Look” for errors. Use another color pen and a dictionary. Capitals- beginning of the sentence, I, proper nouns, titles, inside quotes. Spelling- Look over spelling rules! 5. 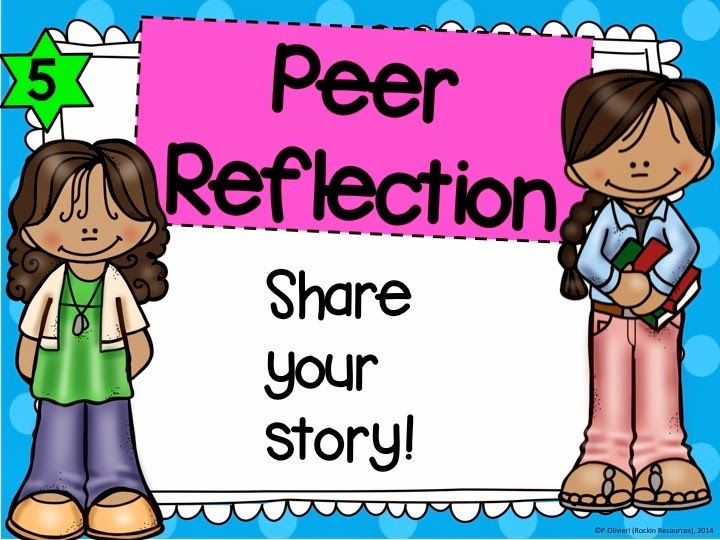 Peer Reflection- Read your writing to a peer and go over checklist together. Make more changes to your paper. your best work and error free! I hope you found this post useful! Do you have ideas to add to this post? Please leave us feedback! Happy Writing!